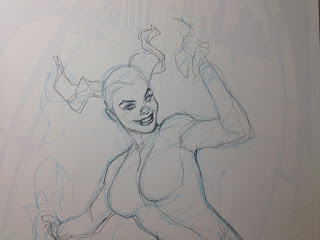 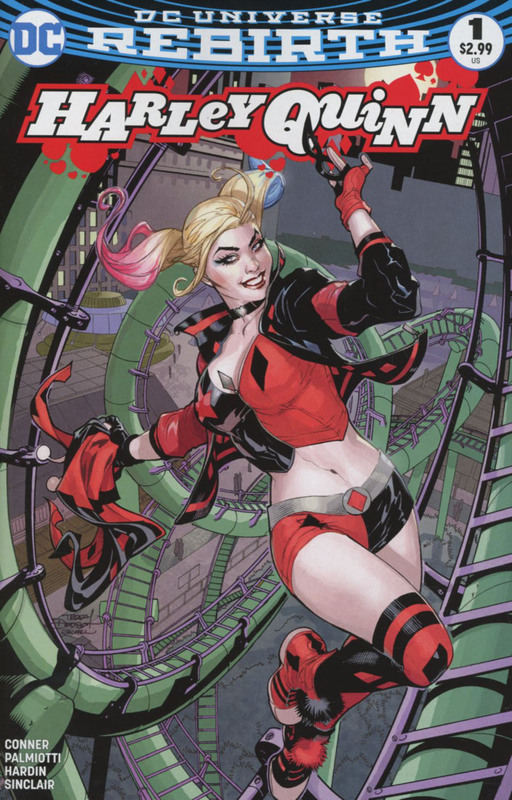 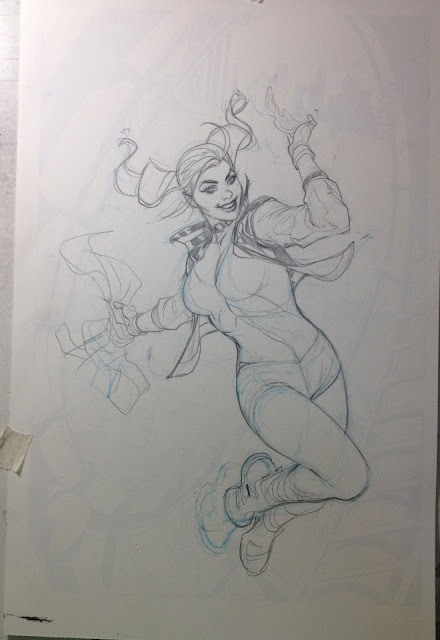 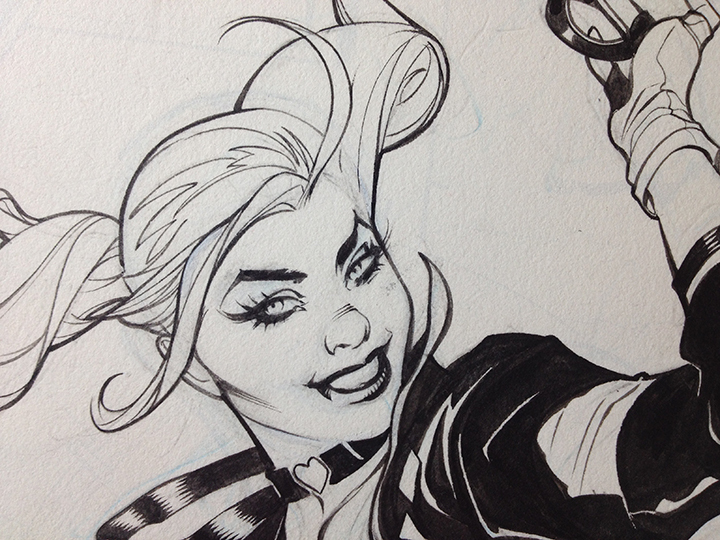 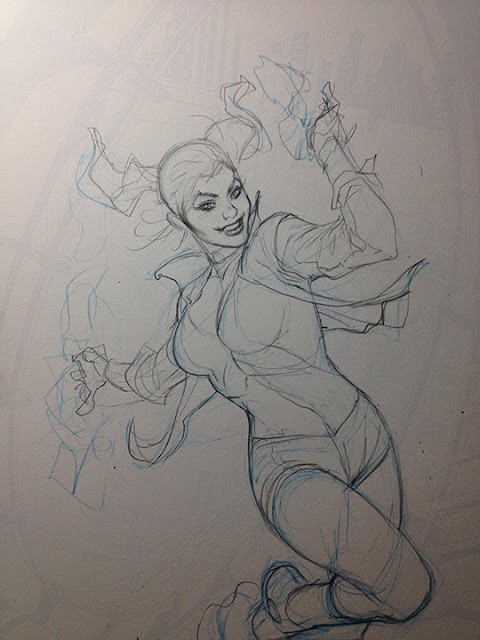 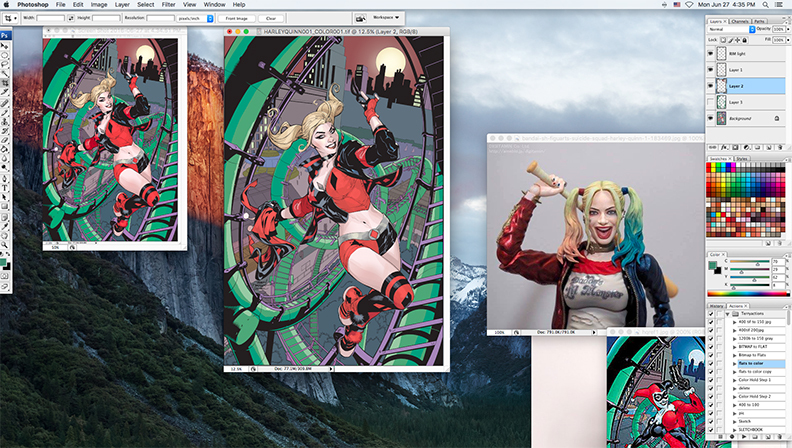 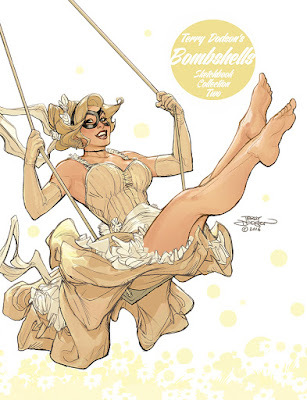 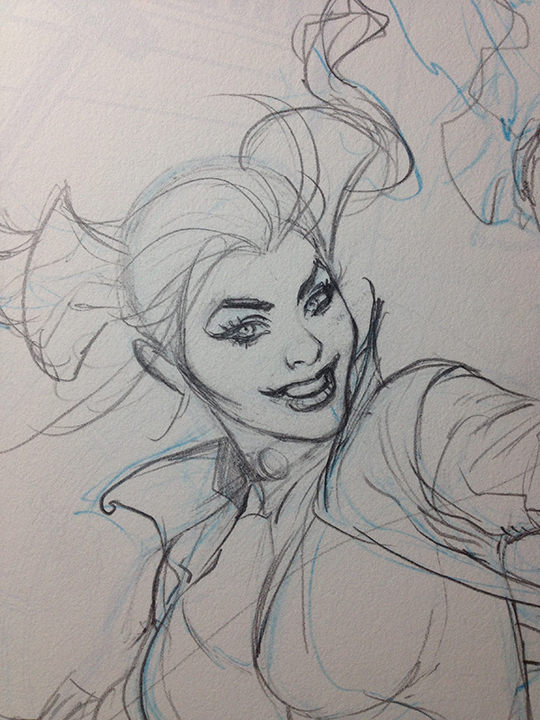 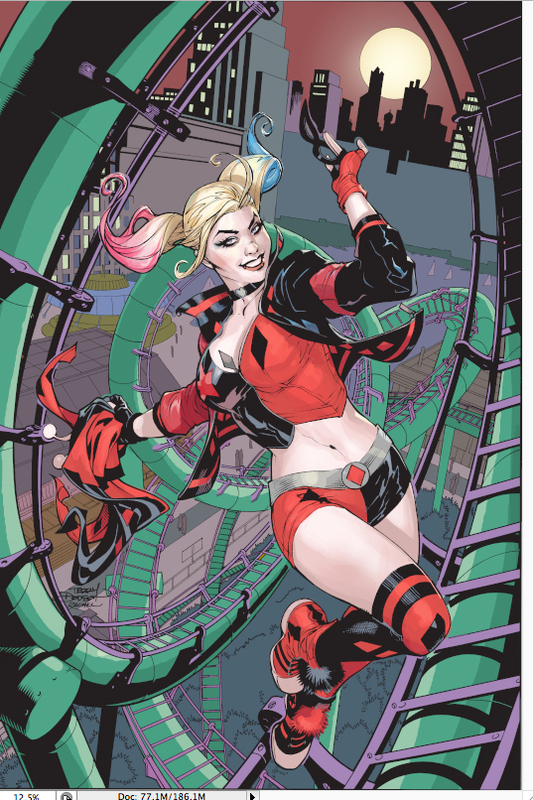 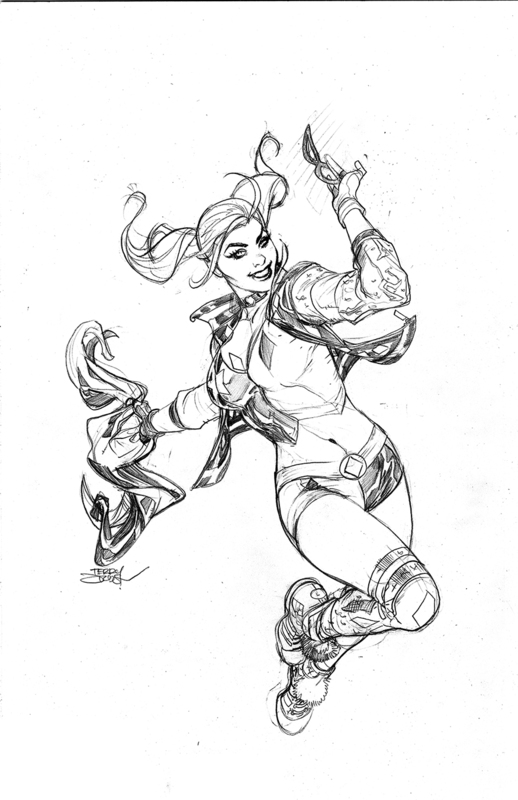 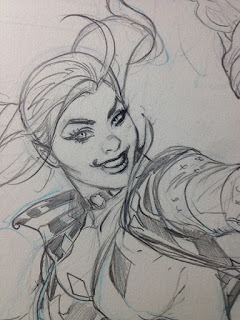 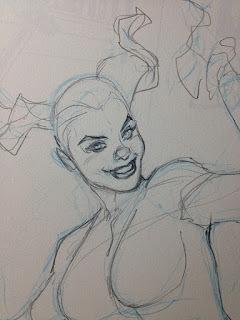 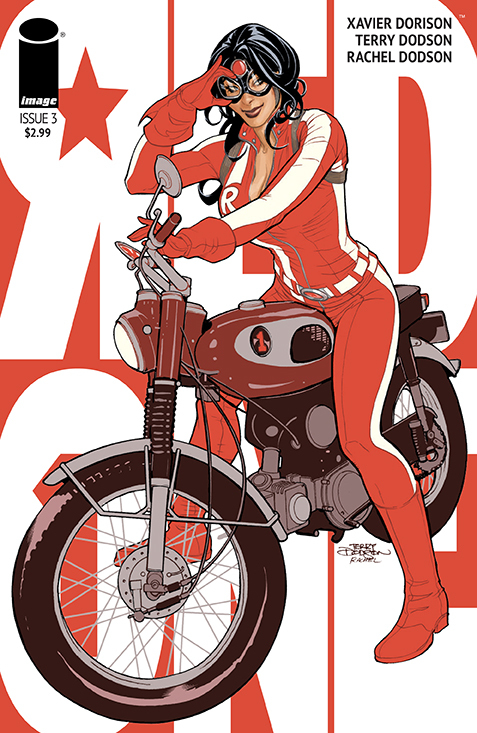 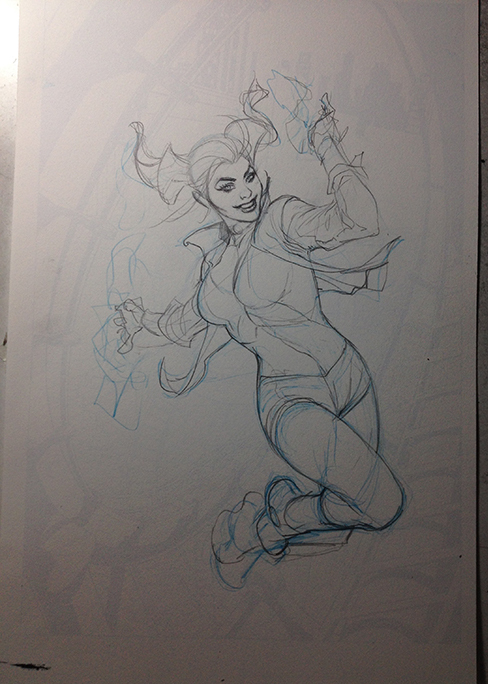 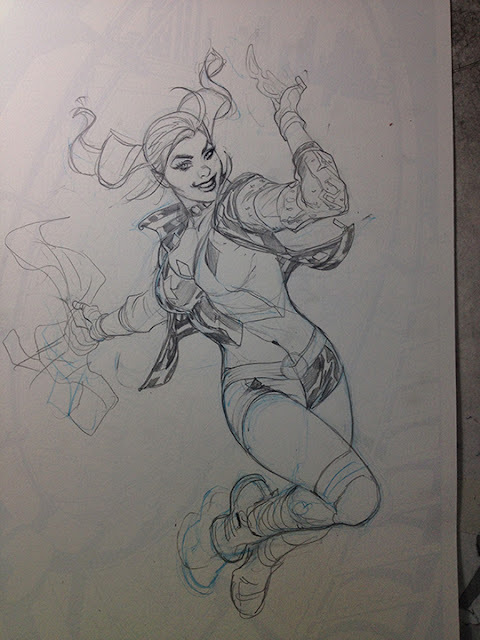 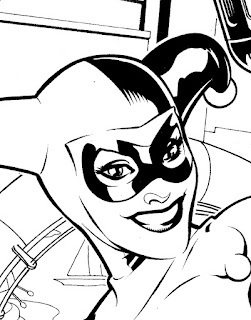 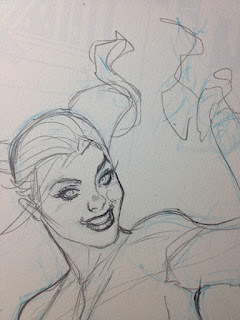 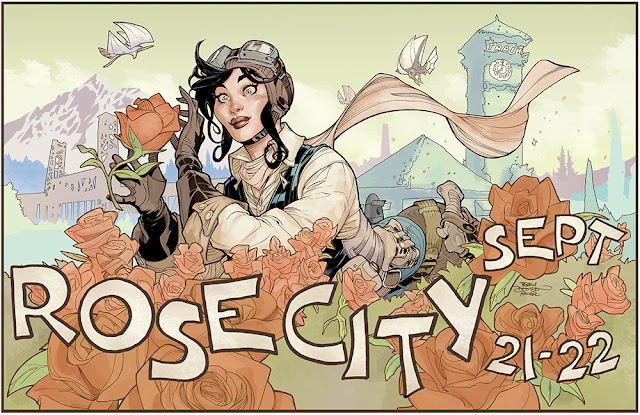 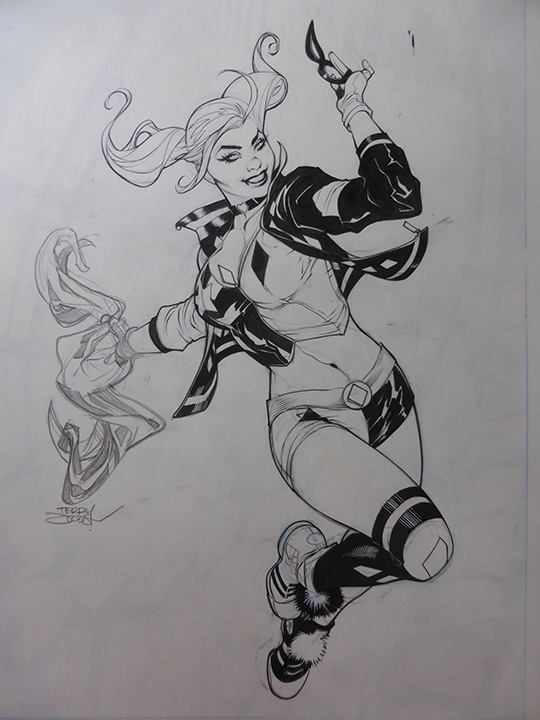 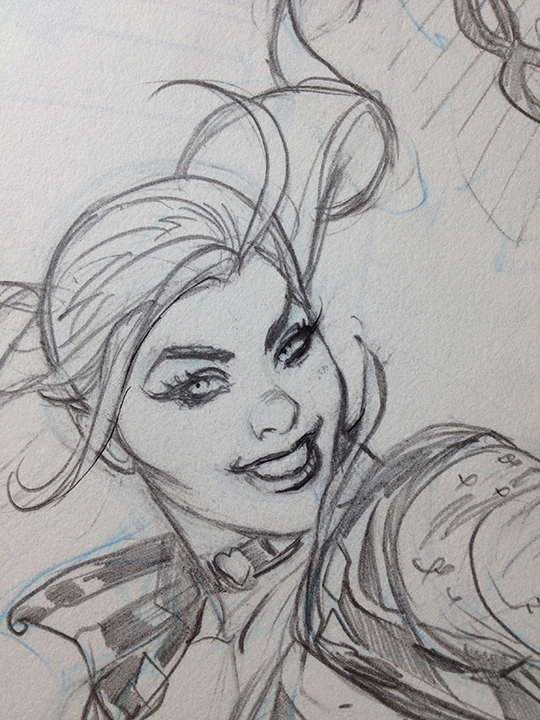 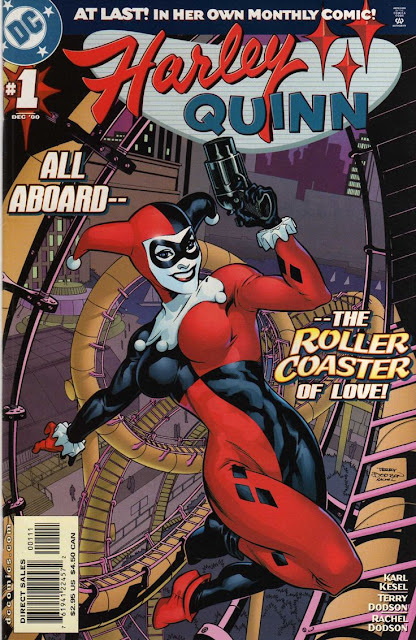 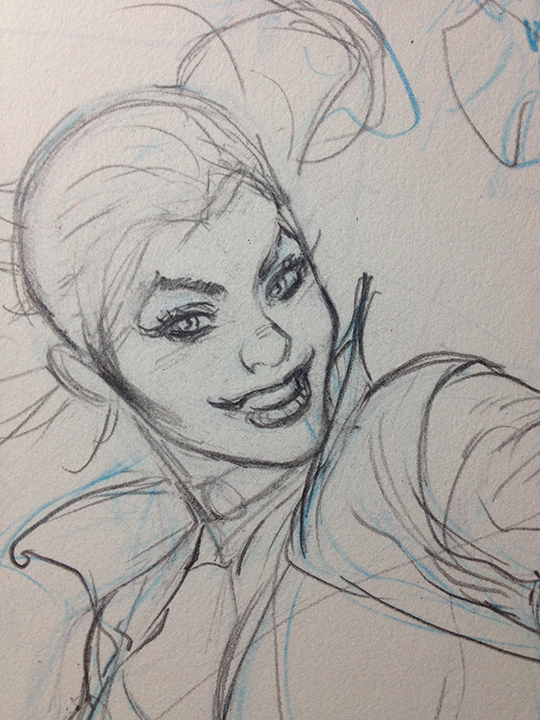 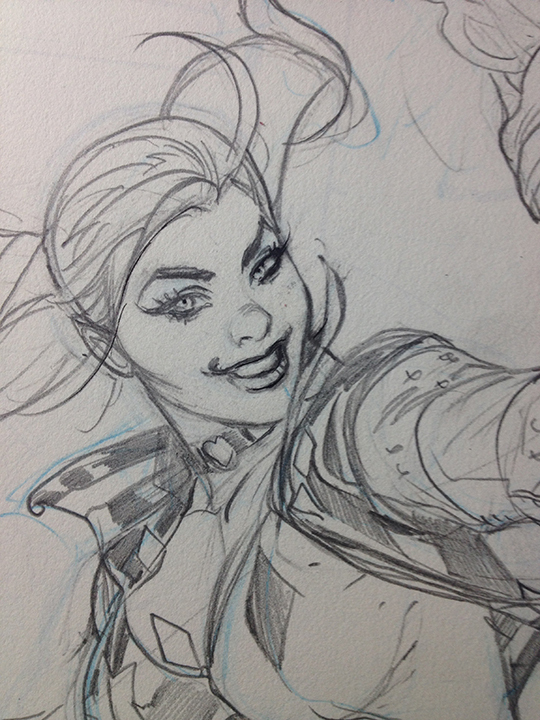 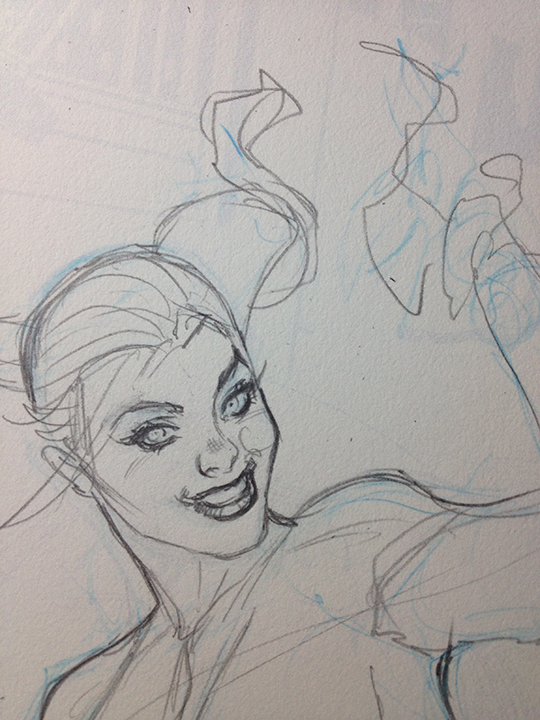 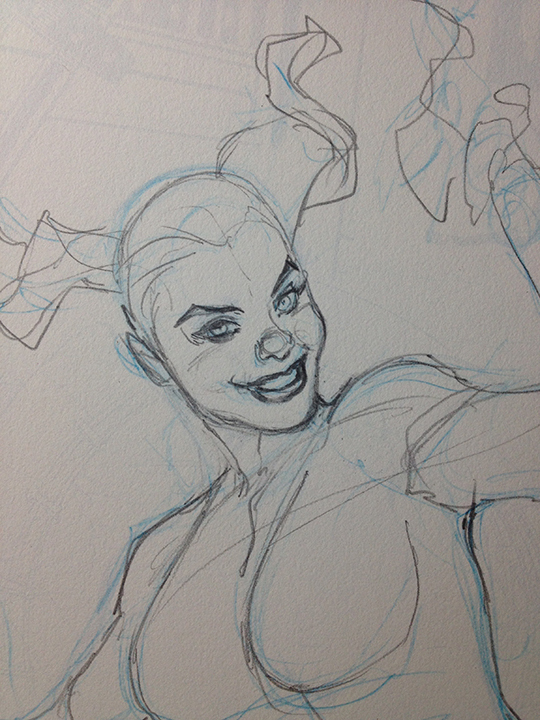 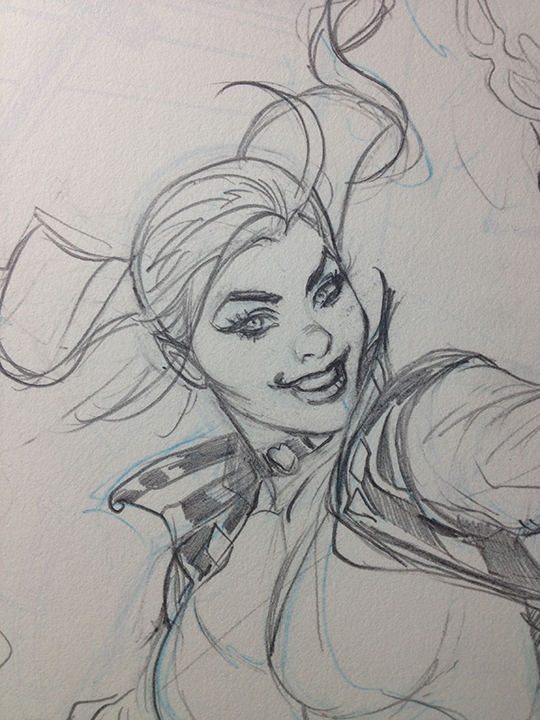 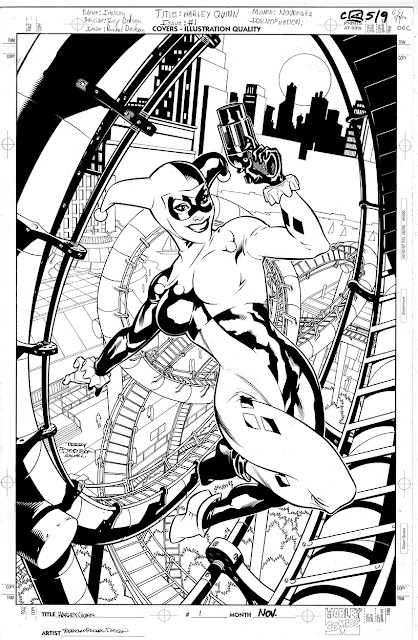 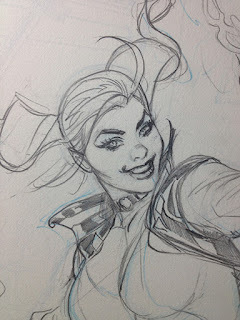 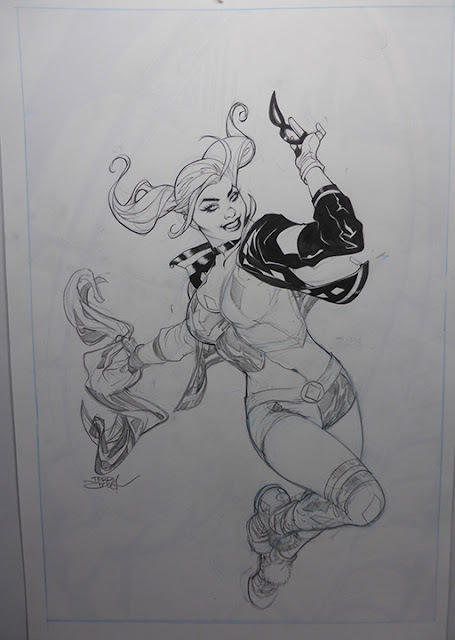 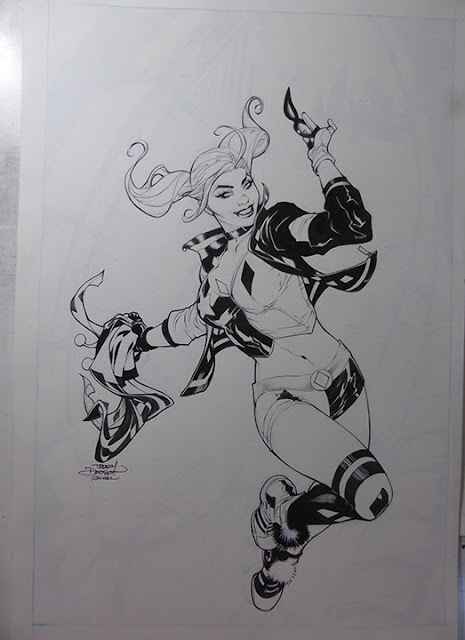 How we made the new Harley Quinn #1 cover. 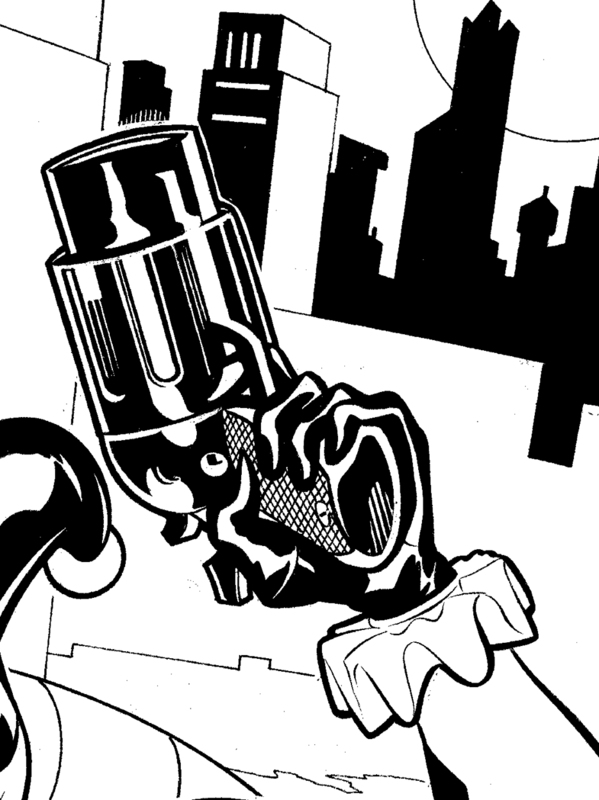 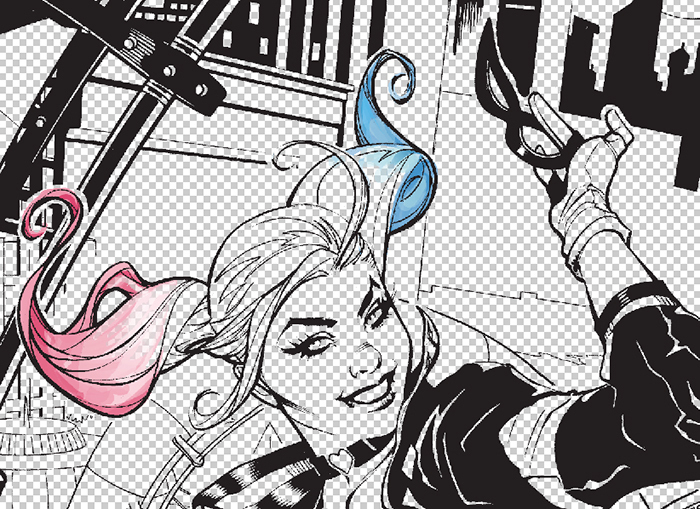 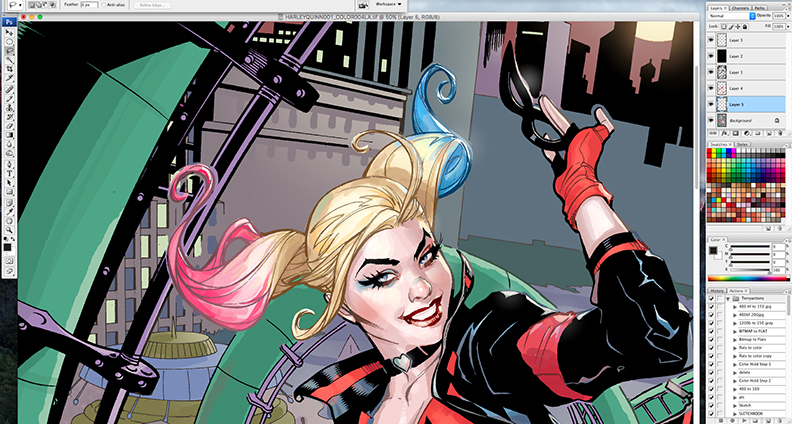 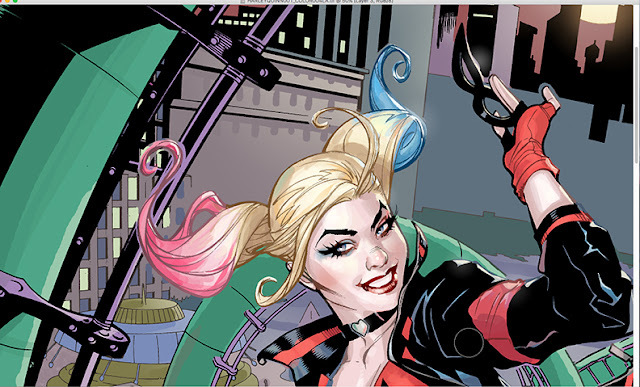 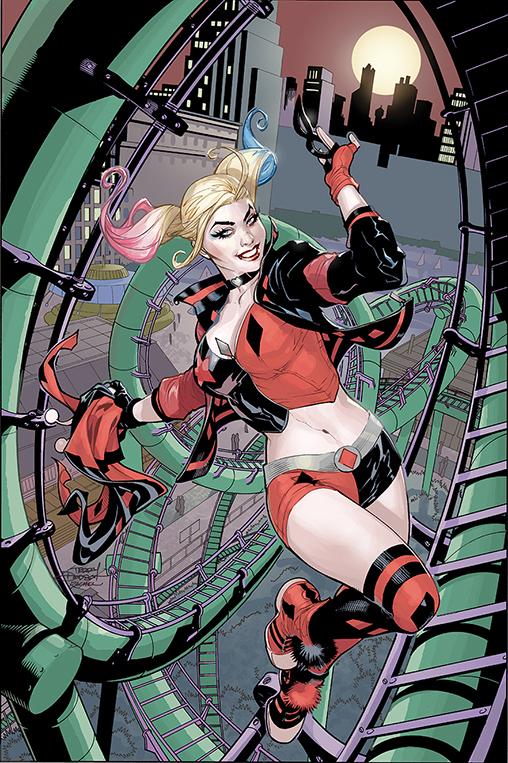 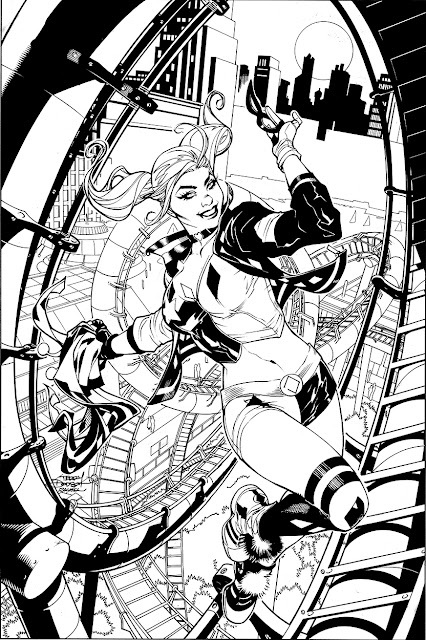 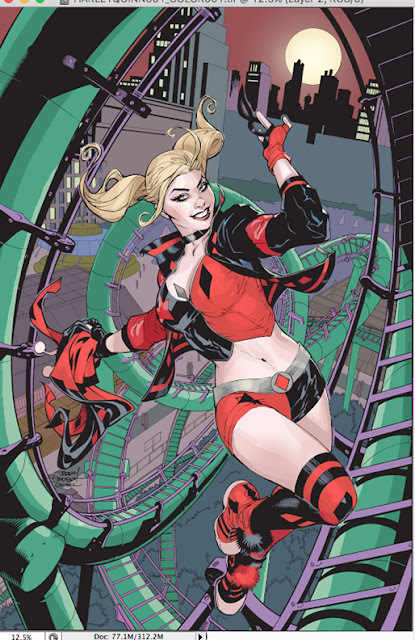 Adjusting the sky to a more DC Animated look I liked on my original Harley Run. 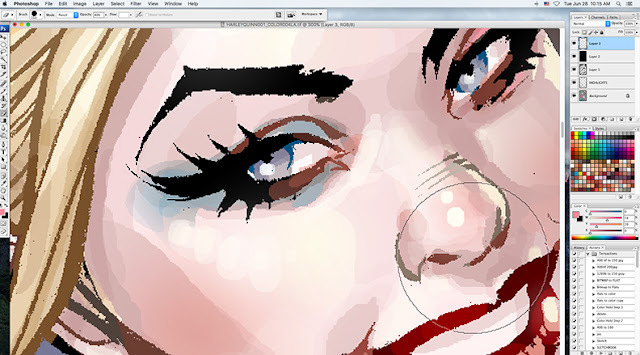 Cleaned and smooth flesh using the Brush tool at low % and and then Lassoing and using the Gradient. 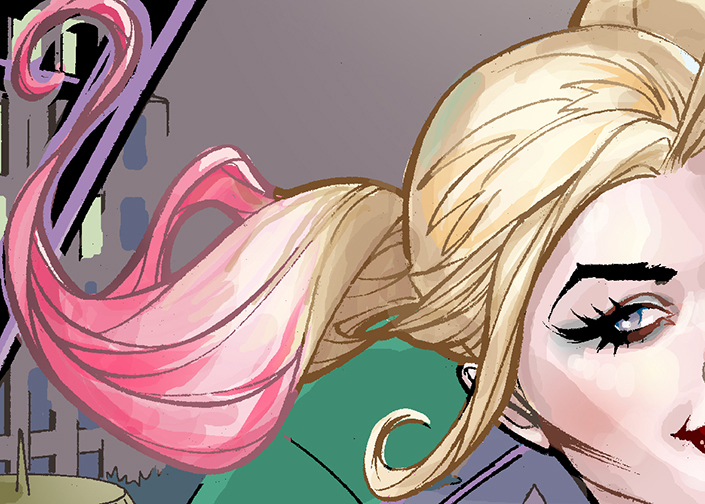 I copied the hair I wanted to color and then used Hue/Saturation to change the blonde to pink and blue and merged layer down. 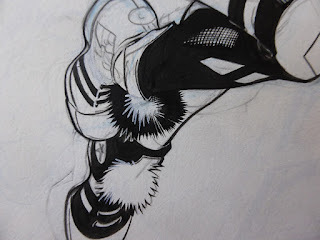 Then convert areas being hit by highlights. 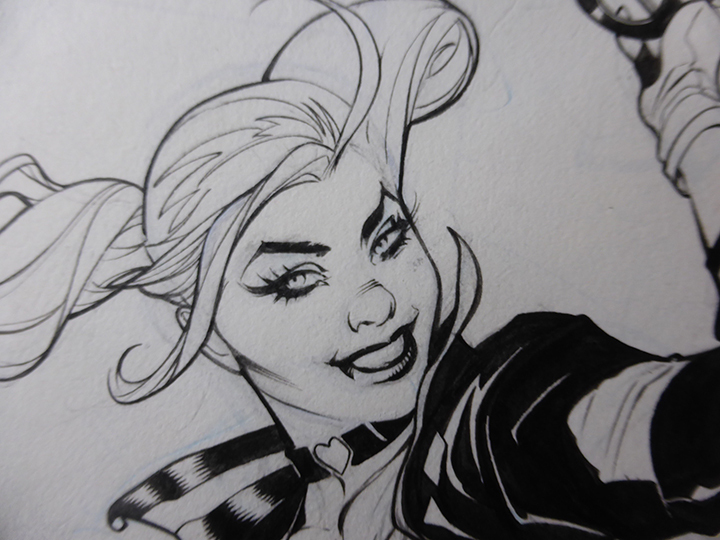 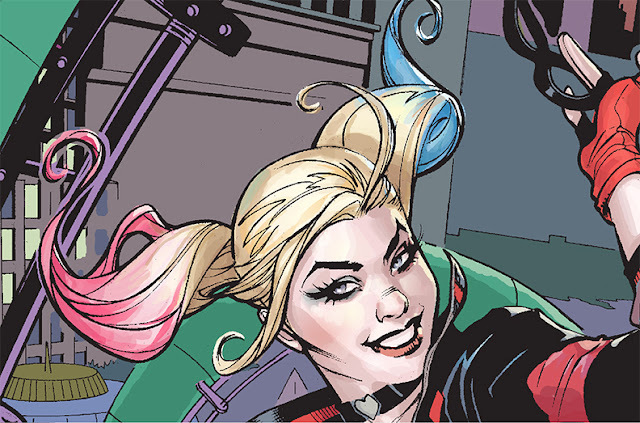 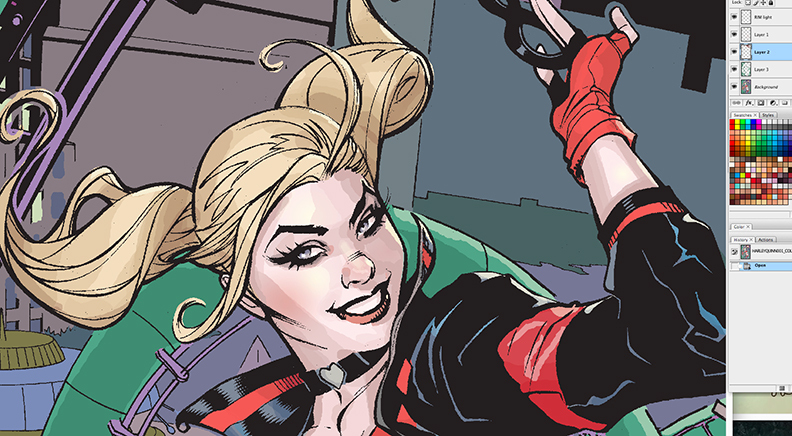 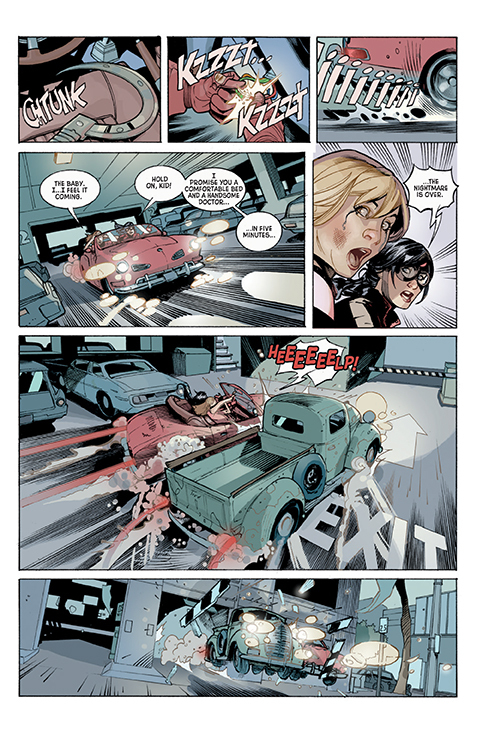 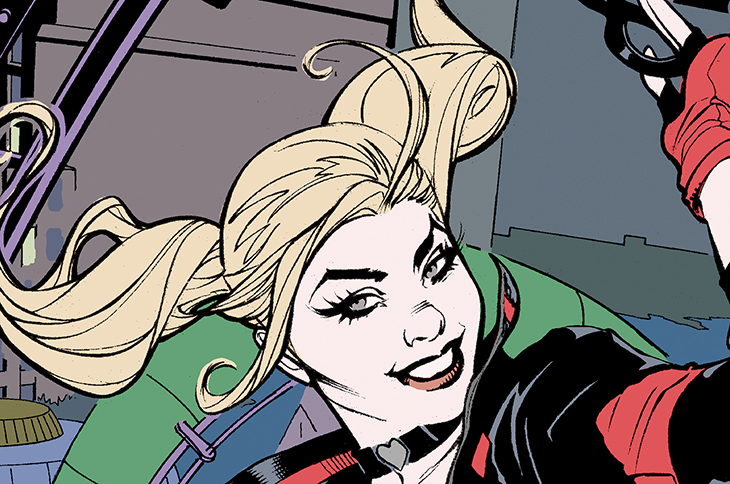 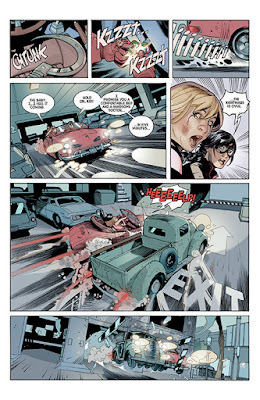 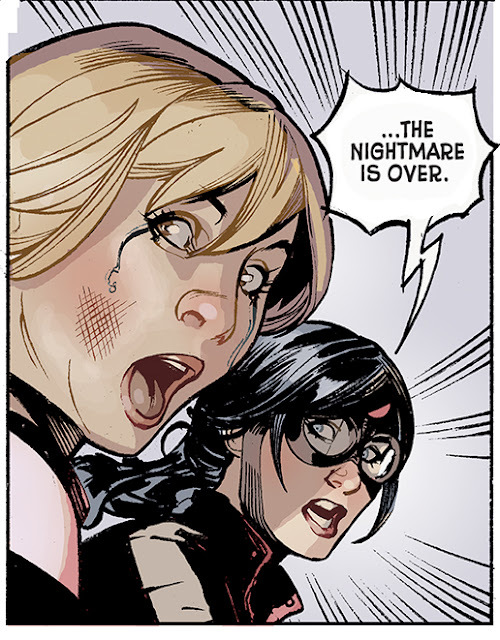 Punched up/brightened Harley's red and WHITENED her skin a bit for the final. Line Art on Costume and Background element is colored. 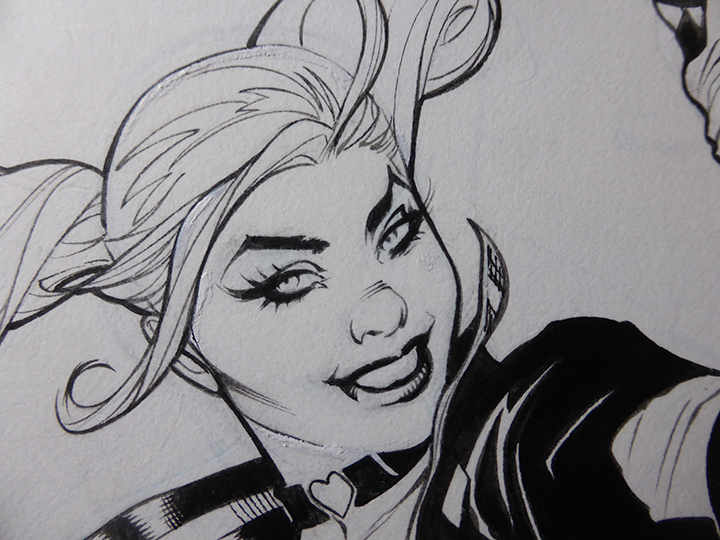 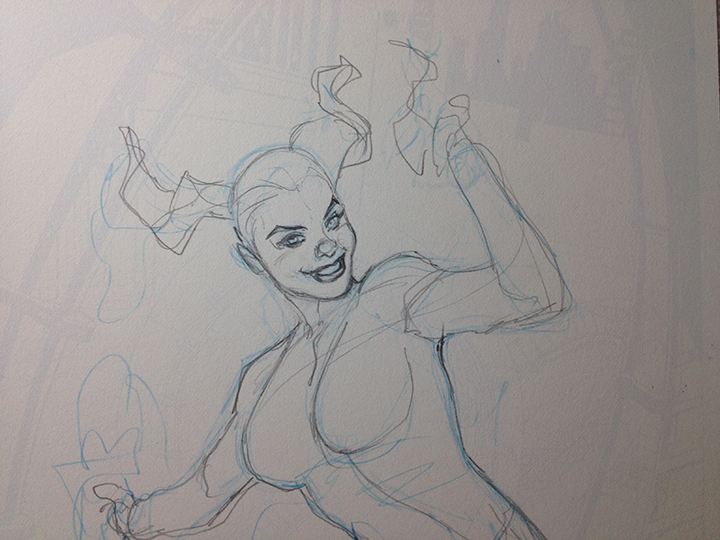 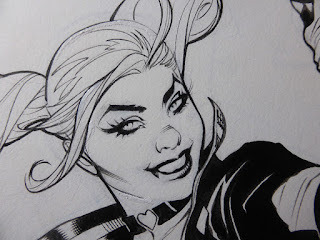 Rachel Dodson's initial inks over my pencils. In Progress Detail featuring Harley's Pom Pom Shoes!